Snark Park will open to the public on Friday, March 15, 2019 and will feature museum-quality installations that also reflect an impressive lineup of partnership programming. The public outpost aims to make design accessible to a broad audience: Visitors will encounter cutting-edge concepts that inspire imagination. An exclusive partnership with KITH Treats brings a unique retail experience to the mix, including Snarkitecture-designed limited edition objects, and one-of-a-kind collaborations with brands from around the world. Snark Park’s online presence will be powered by and created in partnership with website platform Squarespace. As the city’s newest destination for creative engagement, Snark Park will compliment a dynamic series of cultural experiences at Hudson Yards. 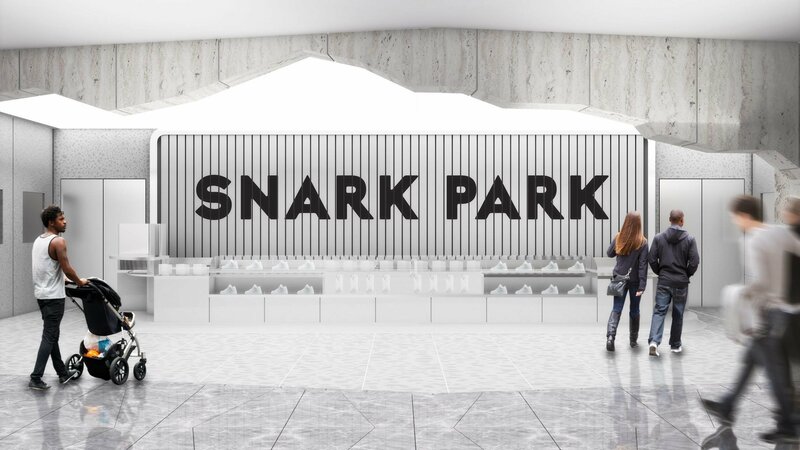 Snark Park will be located in the Shops and Restaurants at 20 Hudson Yards, on the second floor. Tickets for timed entry begin on Thursday, January 31, 2019.